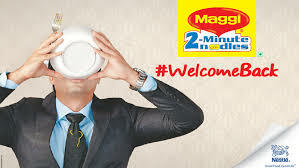 Once again you can start enjoying your all time favourite Maggie Noodles by simply getting a trial pack of 420g worth Rs.160 at just Rs.60 only at Ebay.in. Simply register yourself with Ebay and avail this exciting offer to switch to your favourite Maggie flavour!! Select product and add to cart. Register / Sign in with ebay.in. Yummy in taste and easy to cook. Liked by almost people of all age-group. Full of flavours and veggies. Avail your Maggie trial pack today only at Ebay.in!! Once again Amazon is offering an amazing deal for all music lovers. 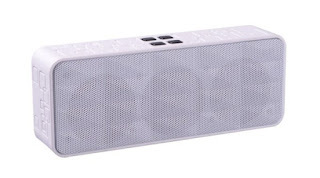 Buy an Intex Computer M/M Bluetooth White Speaker worth Rs.1642 at just Rs.786 with a flat 52% discount only at Amazon.You can now enjoy music anytime anywhere with this portable bluetooth speakers of Intex. Buy now and avail this discount as the offer is valid for limited stock. Register / Sign in with Amazon. You can connect via bluetooth available on all compatible devices. Speakers are light weighted and portable. Shopclues is offering @Rs.1799 + 50 for shipping. 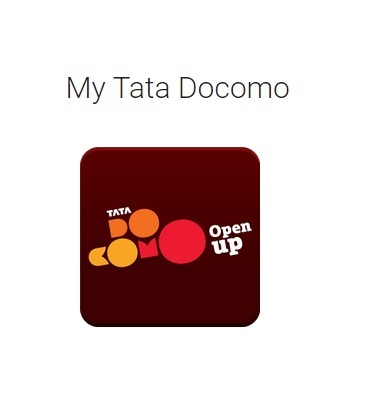 Download My Tata Docomo app. Register your tata docomo number on app. You will receive an OTP, verify the same. Once verification is done, send a text message BMS to 121. You will receive a text message for confirmation of Claim in next 5 days. You can simply book your tickets on bookmyshow. Use voucher code to avail extra benefit of Rs,300. If you are planning for a trip and going to book flights, hotels and taxi etc.. you can save money by simply make your bookings with Easemytrip. 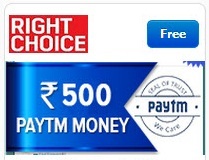 Paytm is offering flat Rs.500 on all the bookings at Easemytrip. You can simply logon to Easemytrip and schedule your trip and avail the benefit of cashback worth Rs.500 using Paytm wallet. Make bookings worth Rs.3000 and above. Proceed to payment using Paytm wallet. Get an instant cashback of Rs.500. User cannot merge this offer with any other running offer. In case of any dispute, New Delhi Court reserves the right to settle down under Jurisdiction. An exclusive offer to keep your expenses low while travelling. Get your bookings done at easy prices with Makemytrip App. Download the app on your mobile phones and avail an instant discount of Rs.2100 on minimum booking of Rs.3500 on Domestic Hotels. You can save Rs.1400 so don't forget to grab the offer and buy now. Choose date, time and location. Offer is valid for app users only. Coupon code will not be valid on select hotels. On specific hotels, you can use the coupon code HTLBUDGET and get 50% off. 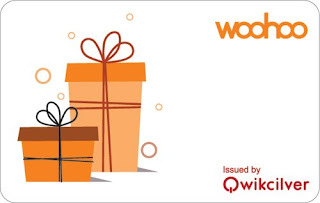 You can freely buy products from top brands like Lifestyle, Shoppers Stop, PVR Cinemas, Amazon, Myntra, Westside and many more with Woohoo Gift Cards. Woohoo generates a trendy digital gift card which can be used at the retail stores and online as well to avail exciting deals. Select and buy a gift card. Gift of total value of Rs.5000 and above should be sent from 1st-31st December via Woohoo app. Loyalty points have a validity of 30 days from date of issue. Under this offer, gift sent to self will not be eligible. A maximum cashback of upto 500 loyalty points will be credited to each customer. 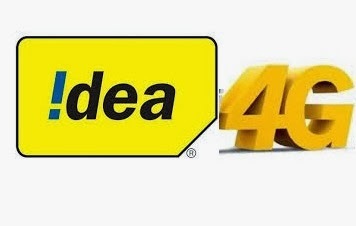 Idea Cellular Internet is going to introduce 4G LTE (Long term Evolution) Service with high speed internet.You can now enjoy Music, HD videos, Online movies, Upload/Download data with high speed 4G internet service on Idea. Prebook your Idea 4G internet and get 1 GB data free. Get an Idea 4G prebooked now as the booking is valid for limited period. Go to Idea Offer page. Fill up your details on same page for prebooking. Pre booking is valid for limited period only. This offer is valid only in Haryana, Kerela, Madhya Pradesh, Punjab, Chattisgarh, Orissa, Tamil Nadu and Karnataka. Get an Idea 4G Sirji!!!! Rejoice the weekend offer with this amazing deal at Dominos. Buy a Dominos voucher worth Rs.500 at just Rs.249. The offer is valid across all India. Relish this flavorful deal with your loved ones at Nearbuy. Click here to visit the nearbuy page. Make the payment using PayUmoney and get an extra 1% off. You can choose from over 800+ Dominos Pizza outlets. The offer is inclusive of all taxes and service charges. The offer is valid only online and on mobile app. Only one 1 voucher can be purchased by each customer. You cannot order promotional combos. This offer cannot be clubbed with other discounts. In case the bill amount is more than Rs.500, balance will have to be paid by cash.